Alika wanted an iPhone. His parents told him he would have to earn the money himself to buy it. In order to accomplish his goal, Alika went to bulk stores and bought candy bars. He would then turn around and sell them to fellow high school students for a dollar. Once he had earned enough money, he purchased his first iPhone on eBay. Either through simple bad luck or a twist of fate, his iPhone broke the day he received it. What happened from there would be the start of something huge. He opened the phone up and started looking at all of the components. Being from a family with an electronics background, Alika didn’t let the fact that this iPhone was broken deter him from getting one. He continued to sell candy and started purchasing broken iPhones in the hopes that he could piece together one working iPhone. He finally did it! In the process of getting his iPhone working he learned how to remove, test, and replace parts for the iPhone. Being impressed by his success, Alika’s dad asked him to get another working iPhone for him. Alika went online and managed to find overseas suppliers for parts. Once he had built up his dads’ iPhone Alika expressed interest in starting a business, having a website and doing repairs for the iPhone. This is where iParts began. Along with his dad, Alika launched his first website iPhoneReplacementParts.com. Almost immediately they started getting phone calls from all over the world! They had no other option than to receieve mail-in repairs to their home address. As demand increased, people requested to bring their phone, rather than mail it in and wait. Alika started taking customers by appointment out of his family home. To his amazement, in-person clients would be so grateful they had tears in their eyes, being told their iPhone couldn’t be fixed and unable to afford a new one. By September of 2009 there were customers getting their iPhones repaired at Alika’s house until 10-11pm at night. It became clear that he needed to open a store in order to continue to grow his businesses. Alika found a space that was close to his house in the neighboring community of Citrus Heights and found a 400 square foot retail space. After deciding on the name “iParts and Phone Repairs” for his brick and mortar location he moved in, set up shop, and opened his doors in October 2009 the start of his sophomore year in high school. He coined the tagline “bringin ‘em back to life 1 iPhone at a time” and iParts was a hit! Soon after, he had clients coming from all over Northern California to request his services. Upon release of the Apple iPad he started his Corporate Account Repair Program for schools, municipalities and local businesses. He worked after school and on weekends while his mom, dad, and sister opened the store and ran it while he was studying. As each new wireless electronic device was released (such as Android phones and new tablets) Alika learned how to fix them and incorporated the repair into his business. When Alika graduated from high school in 2012 he took over the day to day operations. He learned how to fix laptops and Mac Computers, he took classes that furthered his depth of knowledge for repairing in general. He learned how to micro solder and started fixing charge ports, USB connections, motherboards and more. The business expanded to Vacaville in Solano County, CA in 2014. He created Alika, Inc. and expanded to Folsom, CA in 2015, and Gresham, Oregon in 2016! He, along with his family, have created a one stop repair shop for almost any modern gadget. What started out as a hobby as a kid has turned into a passion and way of life! 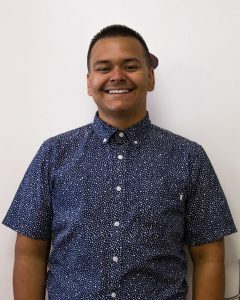 Alika is hands on and you can find him at one of his three facilities looking under a microscope, building up a screen or helping out one of his many loyal clients. His updated tagline is “bringing ‘em back to life, 1 device at a time”.